The history of the Cody Country Chamber is almost as colorful & eventful as the founding of the town. Founded in 1900 by George T. Beck as 'The Cody Club,' the first organization was a sports-man’s club and practically every man in the county joined, including Col. William F. “Buffalo Bill” Cody, who was elected "permanent first vice president." 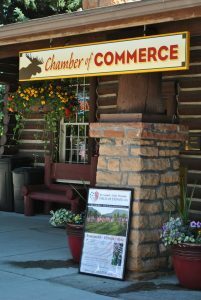 The Cody Club enjoyed periods of great activity, several dormant periods and in 1919 a commercial club was organized that evolved into the Cody Chamber of Commerce. The first noonday lunch began February 11, 1920 at the Chamberlin Hotel. By 1941 the regular Monday lunch meetings had moved to The Cody Club Room at the Cody Auditorium, and that tr adition continues today. Thanks to a generous donation from the late Paul Stock, the chamber moved into its current headquarters in 1968. The building we occupy was the original Buffalo Bill Museum and additional office space was added in 1998. We share our quarters with the Cody Country Art League. Chamber office hours: 8am to 5pm, Monday through Friday. Our Chamber offices (and the Park County Travel Council offices) are closed for the following holidays: New Year's day, Martin Luther King Jr. day, Presidents' day, Memorial day, Independence day, Labor day, Columbus day, Veterans' day, Thanksgiving, and Christmas day. 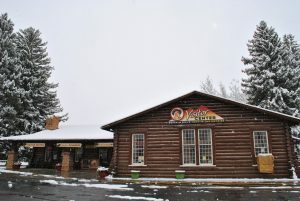 Visitor Center winter hours: 8am to 5pm, Monday through Friday, October to April. Visitor Center summer hours: 8am to 7pm, seven days a week, May to September. Our Visitor Center is closed for the following holidays: New Year's day, Martin Luther King Jr. day, Presidents' day, Columbus day, Veterans' day, Thanksgiving, and Christmas day. 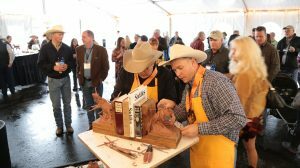 We invite you to immerse yourself in the arts during this exciting week in Cody, Wyoming! Explore the event at https://www.rendezvousroyale.org/.